We are always looking for ways to eliminate plastic from our lives and I always had mixed feelings while flossing because of the persistant plastic thread. Conventional flosses are made of either Nylon or Teflon. They can both be recycled but I have yet to meet someone who saves up all of these little strings and brings them to the appropriate facility. I was looking for biodegradable alternatives and I was thrilled when I discovered Radius a few years ago. It is made of pure silk thread that it is a bit weaker than plastic floss so I had to slightly alter my technique to prevent it from breaking. It turns out that this adjustment was also beneficial for my gums. Finishing the roll was the part that led me to keep searching for other options as I had to recycle the substantial plastic dispenser. I then came across 2 companies with a similar product; FlossPot is a Canadian company that offers a biodegradable pure silk floss in a refillable glass container and a stainless steel traveling case. 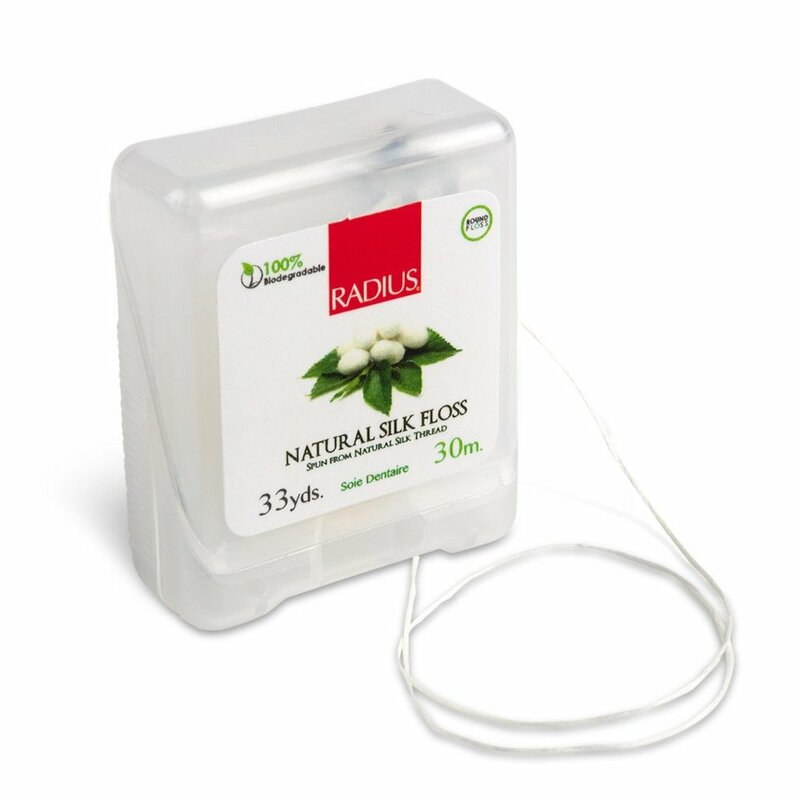 Dental Lace is a US based company and I was impressed with their thoroughness; the floss is made of mulberry silk and coated with candelilla wax and natural mint flavour. The box itself it made of 100% FSC certified post-consumer fibre, is printed with soy-based inks and is manufactured using renewable biogas energy. Lucky Teeth is another US based company. Their bamboo floss is coated with activated charcoal which keeps your teeth naturally white, the tea tree and peppermint essential oils are antiviral, antibacterial, inhibiting bacteria growth and its re-fillable glass container and it is sold in a minimalist recycled package which fulfilled all of my criteria.